The VC Valiant was introduced in March 1966 and although it was basically the same car as it`s predecessor the AP6 underneath, the new body with sharp, squared-off styling was clearly influenced by Chrysler in America. The car looked more modern, aswell as longer and lower in appearance when infact it was the same length as the AP5/AP6! The front now had a wider and much cleaner horizontal grille while the rear was also much squarer and tailights were now vertical. Naturally with any model change came higher equipment levels and standard features, aswell as the introduction of a variety of new safety features. In late 1966 front disc brakes became optional on V8 models also. 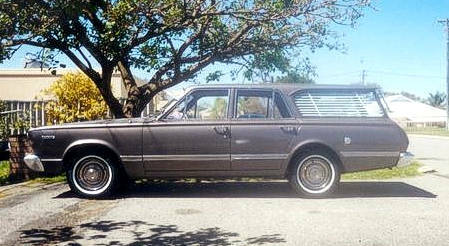 The Valiant was again offered in sedan, station wagon (Safari) and utility versions, the latter designed and styled locally to suit Australian conditions and again badged the Wayfarer. Luxury levels were as before, the Standard (Slant 6 only) and Regal. The V8 optioned cars (273 V8) were named 'Valiant V8/Safari V8' and not Regal V8/Regal Safari V8 as most assume, although they were basically Regal trimmed and optioned. 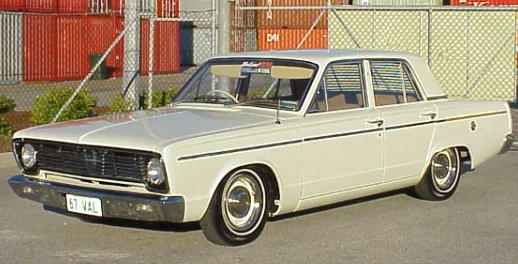 On the export front, from 1966 onwards Chrysler Australia was responsible for providing right hand drive cars world wide (with the exception of South Africa) and the VC Valiant was the first Australian Valiant to become available in Britain, which was announced at the October 1966 London Motor Show. The models available were given British names (the Australian names are in italics). A total of 65,634 VC Valiants were built.